Hanson Residents Will Receive $250 Compensation Due to Mold | The Gettysburgian. Residents of Hanson Hall, a first-year residence hall affected by mold that is currently being remediated, will receive $250 in compensation to “defray the costs of relocation and cleaning,” Associate Dean of College Life for Residential and First-Year Programs Keira Kant said in an email to Hanson Hall residents Monday morning. “While I realize this may not be the outcome that some students were expecting based on the initial scope of the issue, this compensation is in recognition of the challenges that have come with this process for all residents and is intended to defray any incidental costs you have or may incur as a result,” Kant said. Hanson residents will not, however, receive any preference in the sophomore housing lottery, which was initially under consideration and mentioned to residents of the basement, where the mold issue was first discovered. After the college decided that the entire building required cleaning during the semester, it was determined that no Hanson residents will receive housing lottery preference. An email sent by Kant to residents of the Hanson basement, where mold was first discovered, on Jan. 24 indicated that those basement residents would receive priority in the housing lottery, but that calculus changed after mold was determined to be in need of remediation on the first, second, and third floors, Jamie Yates, Executive Director of Communications and Media Relations told The Gettysburgian last week. Yates said in an email late Tuesday that the $250 compensation was in recognition of the mold’s effect on students. The total cost of compensating the building’s roughly 158 residents is about $40,000. Yates said this allocation will not affect the Office of Residential and First-Year Programs’ budget or programs, stating only that the college has identified a source of funding for the remediation project in response to a question about the source of funds. Not all students approve of the college’s handling of the situation. “I’m mad at the fact that we had to move in such a short notice, and I heard mold was an issue before from people living there in the past. It wasn’t until someone got sick that they became concerned,” said Mariam Martinez ’21, who lived in the basement last semester. 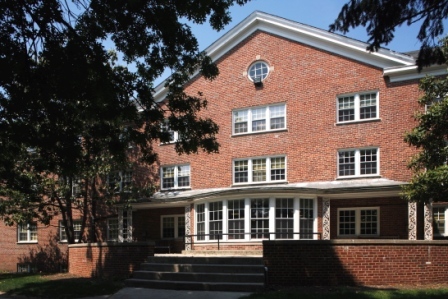 While the college was unable to confirm any medical issues arising from the mold due to privacy issues, The Gettysburgian has heard from multiple students who claim to have experienced symptoms consistent with mold allergies as well as students who lived in Hanson Hall last year that indicated personal property was damaged by mold. On that front, at Monday evening’s Student Senate meeting, Senator Abby Hauer ’21 said that she is aware of students who discarded items totaling a greater value than $250 due to the effects of mold. In response, Student Senate President Luke Frigon said, “The college should pay you back,” and referred the item to the Senate Opinions Committee for further discussion. Yates said the college will not compensate anyone beyond the $250 allocated to each Hanson resident, suggesting that personal items may be covered under personal insurance.